Chances are you missed the story when it first broke. And if you did happen to catch it, in spite of it barely registering a blip on the soccer media's radar, you probably weren't sufficiently bothered to pay it much mind. But the news of America's youth clubs petitioning FIFA for their solidarity funds could have a cataclysmic impact on our soccer scene. 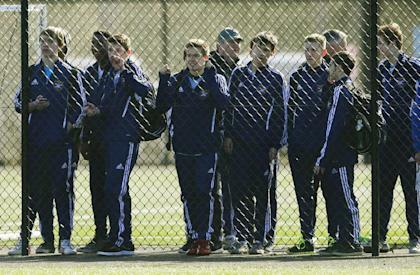 So here's what you missed: A few weeks ago, SI.com and VICE Sports reported that Crossfire Premier, a top youth soccer club in the Seattle area, had asked FIFA to intervene in its dispute with Major League Soccer and the United States Soccer Federation. After the Seattle Sounders sold U.S. national team winger DeAndre Yedlin to Tottenham Hotspur of the English Premier League for a reported $4 million fee, Crossfire Premier reached out to Spurs for its share of the so-called "solidarity funds." Solidarity funds are a mechanism instituted by FIFA a few years ago that ensures all of the clubs who had a hand in developing a player get a cut of an eventual transfer fee to more fairly distribute the spoils of his – and their – success. The rules are fairly complicated, but since Yedlin was sold to a club in a different country before the age of 23, the clubs responsible for developing him are technically entitled to a share of 5 percent of his transfer fee – depending on how much time he spent with them. Crossfire Premier was one of those clubs, even though Yedlin also played for two other clubs in the Seattle area, before joining the Sounders academy and then playing for the University of Akron – which, in an interesting wrinkle, would also be entitled to a small share. According to SI.com's reporting, Spurs acknowledged Crossfire's claim, but MLS and U.S. Soccer intercepted and claimed the funds before they could be dispatched to the youth club. They claimed a ruling in an old and sealed anti-trust case filed against MLS by its players in 1996 preempts monetary entitlements like the solidarity funds. MLS is essentially arguing that the FIFA rule doesn't apply and that it gets to keep all transfer proceeds – since player contracts are technically owned by the league, which administrates transfers abroad. Crossfire, through its lawyers, has asked FIFA to either force payment or permit a lawsuit against MLS and U.S. Soccer. Others clubs have now joined them, according to a second SI.com report. The Dallas Texans, for instance, claim they have a right to a share from Clint Dempsey's 2007 transfer from the New England Revolution to Fulham. These contributions can add up to hundreds of thousands of dollars. And over in Europe, entire amateur clubs are kept afloat by the solidarity funds of the one alumnus who made it big. VV Bedum, a puny provincial club in the Netherlands, has raked in piles of money from Arjen Robben's transfers from PSV to Chelsea, and then to Real Madrid and Bayern Munich. That money has allowed the club to keep its doors open and give more young children a place to play. And that's sort of the point. But here in the U.S., any breakthrough by Crossfire et al in securing the solidarity funds they seem rightfully entitled to – no matter what deal MLS may have struck with its players more than a decade ago – could have far bigger consequences. Because it could alter the calculus of the entire youth game, with far-reaching benefits for the sport in America as a whole – including MLS and U.S. Soccer. It's hard to say how it would affect the college game exactly – the deeply problematic notion of amateurism would become even harder to defend if schools started collecting transfer fees for their so-called student-athletes. The youth game, however, could be turned completely on its head. The model as it exists now funnels the best players to travel teams with words like "elite" or "premier" or "select" in their names. They're ruinously expensive and, as such, highly lucrative to a few. While financial aid usually exists for the truly gifted, the pay-to-play model tends to discourage entry from any player whose parents aren't firmly in the upper-middle class. It therefore freezes anyone without a serious disposable income out of the best coaching and competition. This is a major problem in America's soccer scene. But if the youth clubs somehow manage to wrangle the solidarity contributions through FIFA, it would incentivize player development in the opposite direction. For one, making players better would take precedence over winning. Now, these pricey clubs advertise the number of allegedly important tournaments they win and what contrived rankings they do well in. But make a player better, and he might get you a check for hundreds of thousands of dollars. Players will become less ATMs than futures stock, which is how it should be. Prospects will be exactly that, possible six-figure payoffs down the line. Even if these clubs don't sell these players themselves – which they can't – they'll benefit when someone else does. If that sounds exploitative, that's merely how the market for sports talent operates, if you look at with an honest eye. What should ensue, then, is a race to the bottom that will likely erode the pay-to-play system, if not eradicate it altogether. While it will be fairly rare for a player to pay off, the chance of it should lead youth clubs to lower the barriers to entry for the more promising talent. That will force competing clubs to do the same, surely resulting in a reverse bidding-war for the best local talent. Solidarity contributions would also funnel money directly into the youth game. Rather than letting MLS keep it all, in spite of typically not having spent more than a few years developing a player, with the bulk of his formative time spent with a club team or in college, it would have to share. So instead of it disappearing into some professional team's budget for this or that – or indeed a wealthy owner's pocket – it would go back to where the player came from and help produce more like him. And in the large scheme of things, the cost to MLS would be fairly minor – five percent of its transfer revenue, and less for players partially developed in an MLS academy – while making a big difference for some youth club. MLS will fight this – hard. Given the relative modesty of its revenue streams, it wouldn't want to give any of it up. But if the youth clubs win, in the end, everybody would be better off.